A Montreal Mafia player linked to the Rizzuto clan is believed to have been kidnapped after his car was found abandoned. Paolo Renda is shown in an undated Montreal police photo. 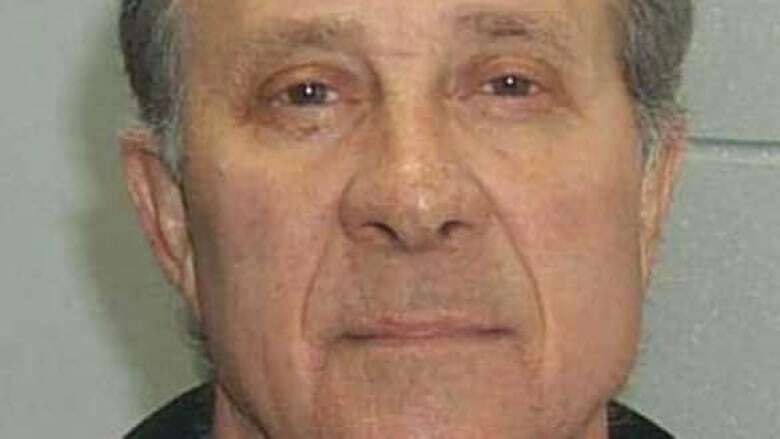 A Montreal Mafia player closely linked to the Rizzuto clan is believed to have been kidnapped after his car was found abandoned and unlocked with open windows. Paolo Renda, 70, was last seen Thursday afternoon in Montreal's northwest Cartierville district while running errands in his car. His wife, Maria, grew worried as the afternoon grew late and Renda didn't come home. She went to look for him, retracing his regular route along Gouin Boulevard. She later told police she spotted Renda's Infiniti sedan parked on the road near Albert-Prévost Avenue. The car was unlocked, with its windows rolled down and keys in the ignition. The family decided to call police around 6 p.m.
Investigators say preliminary evidence suggests Renda was kidnapped, but did not shed light on any possible motive. "We're going to see if he received any threats in the last couple of days or months," said Montreal police Const. Raphaël Bergeron. Former crime reporter Michel Auger said it's difficult to guess what happened to Renda, but ransom kidnappings have targeted various members of the Montreal Mafia in recent years. What's different is that none of those abductions were reported to police. "The victims of those kidnappings simply reappeared at their home a few days or a few weeks after the kidnapping," Auger told CBC. "So it is possible the same thing will happen with Renda and we will never know if someone paid the ransom. "If it's an example to kill a Mafia member, then it's done in plain view of many witnesses." Renda is believed to be the right-hand man to Nicolo (Nick) Rizzuto, presumed patriarch of Canada's most well-known Mafia clan. 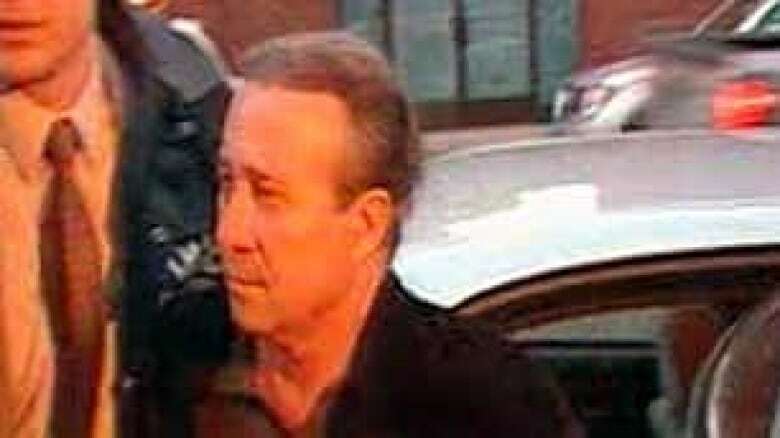 Renda's wife is Nicolo Rizzuto's daughter, and his brother-in-law, Vito Rizzuto, is Montreal's alleged Mafia boss, now serving time in a Colorado prison on racketeering charges related to three Brooklyn cold-case homicides in the '80s. Renda was released from prison several months ago after he pleaded guilty to gangsterism-related charges. He is believed to have handled finances for the Rizzuto family and was one of dozens arrested during massive sweeps in 2006 as part of Operation Colisée, a drawn-out investigation authorities described as a major crackdown on organized crime. Renda was also uncle and godfather to Nicolo (Nick) Rizzuto Jr., Vito's son, who was killed in broad daylight last December in what crime watchers described as a targeted attack on the Rizzuto clan. Renda's disappearance appears to lend credence to the idea that the crime family is in disarray, said André Cedilot, a retired veteran journalist with Montreal La Presse who has followed the Rizzutos' fortunes. "We don't know if it's the Calabrians, or the Sicilians and part of the Calabrians, who are together to take the power in Montreal," said Cedilot. He said Rizzuto's Sicilian clan gained control in the 1970s by killing the chief of the Calabrian clan in Montreal, Paolo Violi. "The rival gang, they have a clear message to say to the Rizzuto clan in Montreal — you had the power during 30 years … now it's finished for you," said Cedilot. The Rizzuto family, meanwhile, has other legal troubles. Nicolo Rizzuto Sr. had been scheduled to appear at the Montreal courthouse on Friday in connection with a five-year-old impaired driving charge. His lawyer persuaded the judge to put off the case again, saying it is too dangerous for Rizzuto to be seen in public.